Sometimes, a little kitsch goes a long way. "Woofer" comes as a set of two. It's a "Woofer." Get it? 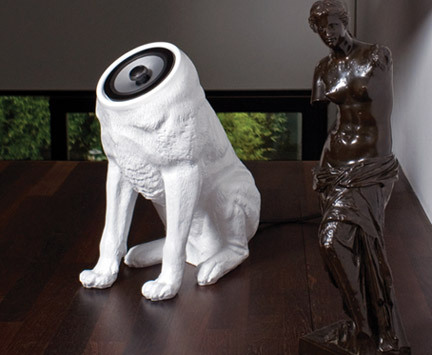 Pun intended, the "Woofer" is a co-axial speaker system consisting of two dogs. The custom engineered electronic filters make for great sound. I don't know what that means...I just think they're cute!